▲ Centering on the CGM Wolmyeongdong church, the entire world had a save-the-nation prayer meeting to remember and mourn for the tragedy of Sewol Ferry. On the 23rd, the Christian Gospel Mission held a prayer meeting in Wolmyeongdong to commemorate the Sewol ferry victims and to wish for the safe return of the survivors. Churches all around the world affiliated with the Christian Gospel Mission prayed continuously for the Sewol Ferry victims. The participating members earnestly prayed with burning tears for the spirits of victims who had lost their lives, for any possible survivors and for the bereaved families to step out of their sadness and to gain courage. President Jung Myeong-seok of the Christian Gospel Mission prays for the lives of the world everyday despite his current environment. He is constantly setting prayer conditions to get rid of things that harm precious lives. In this prayer service, they prayed sincerely to the Creator God so that all nations can realize the value of lives. Jun Jin-sung, a member from Uijeongbu church who participated in the prayer service said "I prayed for the victims and the families of missing people. But I don't know how I can comfort them." He added "The leaders' responsibilities are so great. We should completely pull out all the bad deeply rooted nature of our society so that tragedies like this will not occur again." The ministry held a prayer meeting on the 19th with 1500 Family Department leaders for the victims and missing people of the Sewol ship. 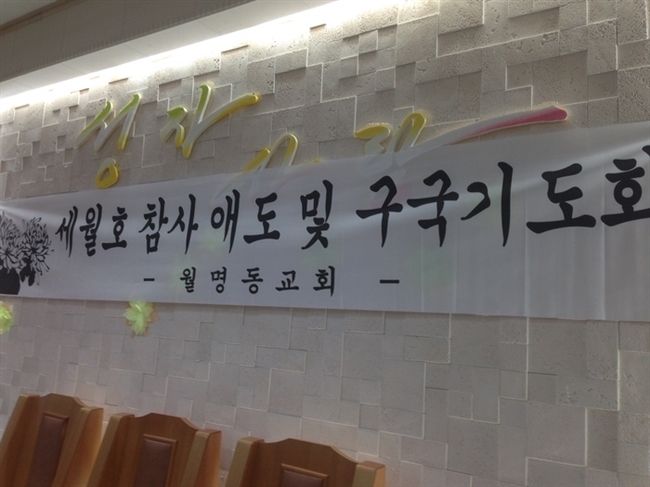 They also had an event to celebrate 4.19 (April 19) a day which became the foundation of the Korean democratic movement. The Christian Gospel Mission is planning to have more prayer meetings to share the sorrow of victims' families and to wish for the safe return of missing people. There were a total of 476 passengers in the sunken Sewol Ferry on 16th. On 24th, which is ten days since the accident, there are 174 people rescued, 182 dead and 120 missing. It is more saddening because most of the missing people are students from An-san Dan-won High School.